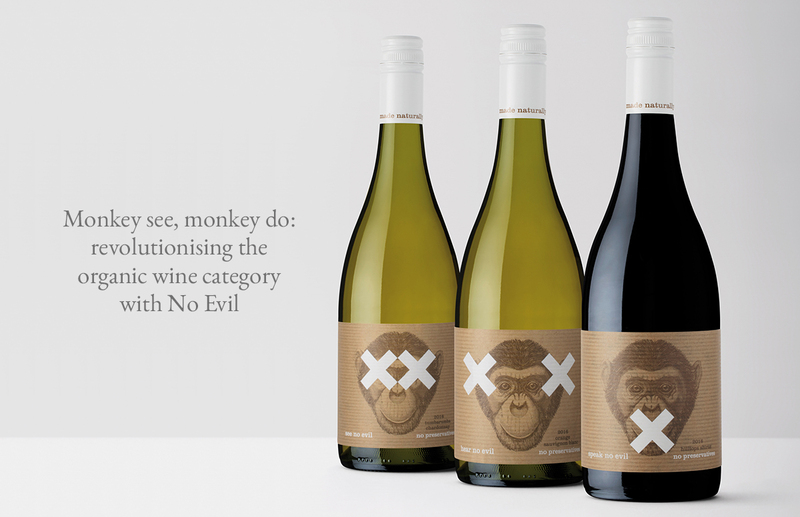 Monkey see, monkey do: revolutionising the organic wine category with No Evil. 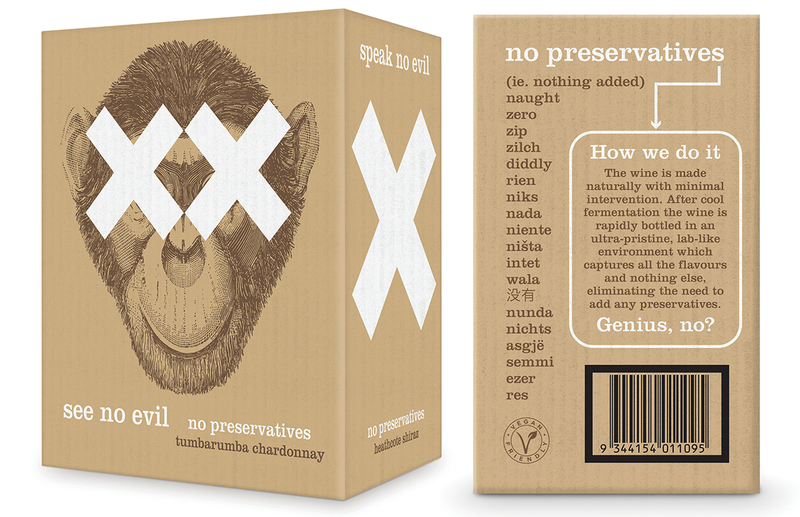 Our client had three preservative free wines he wanted to market in a category-breaking way. They were to be completely different from the competitive set which were health focused or else with ‘hippy’ natural packaging cues. 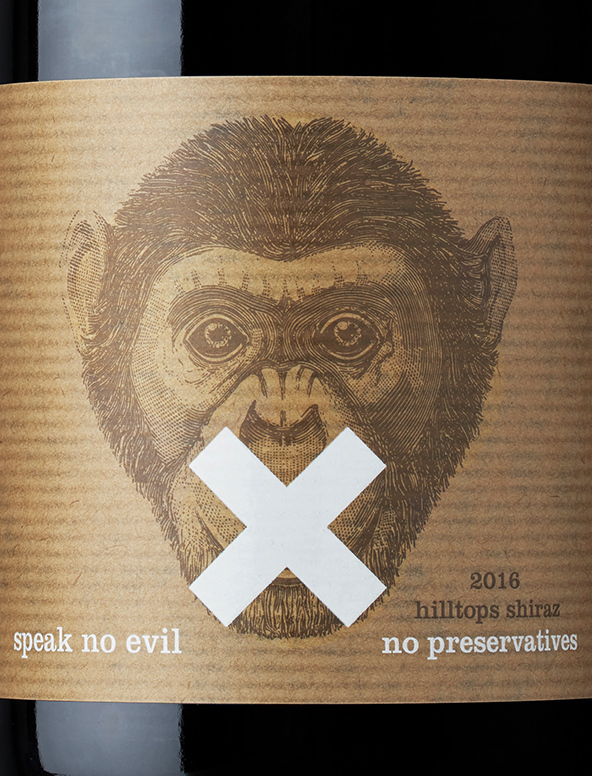 Three wines were the perfect vehicle for the three wise monkeys, whose message See No Evil, Hear No Evil, Speak No Evil perfectly endorsed the preservative-free message in a new and engaging way. 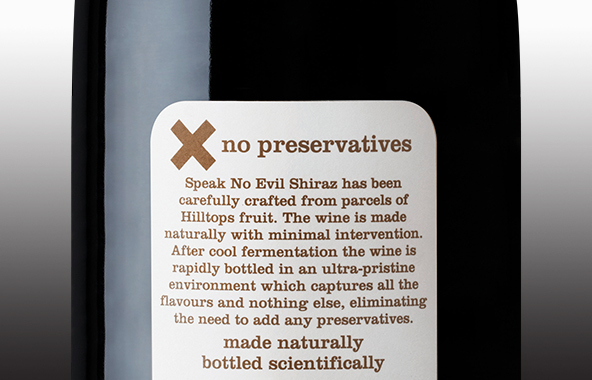 We came up with the tag line “made naturally-bottled scientifically” to encapsulate how the wines were able to be preservative free. 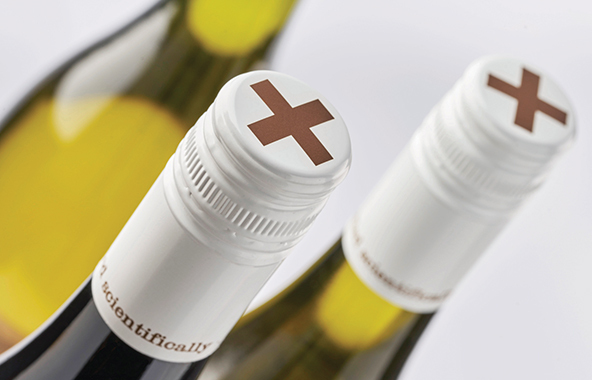 The colour palette of crisp, clean white combined with the craft paper stock further reinforces this message. 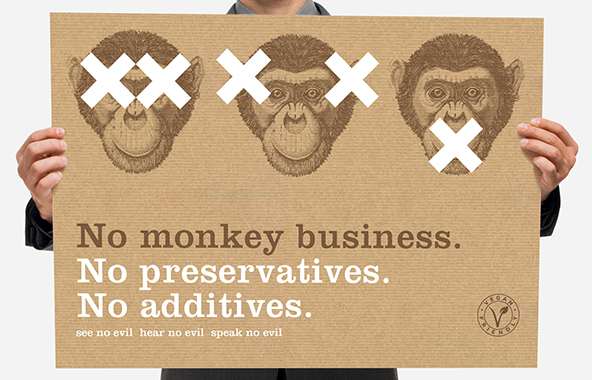 The famous monkey proverb combined with the powerful cross graphic conveys instantly to consumers the preservative free message of the brand. On all supporting material playful language conveys the seriousness of the science.